A tax levy is not available for the general public to see and does not by itself affect your credit rating or prevent you from selling your property. However, if the IRS serves a tax levy on your bank, then it is required to send all of your money to the IRS. The bank cannot immediately send your funds to the IRS, however. Instead, the tax law provides that the bank must hold onto the funds for 21 calendar days. You can expect that the bank will notify you of its receipt of the tax levy. However, this may take a few days until after the bank receives it and that 21-day clock continues to tick. The 21-day period is extremely important because it gives you an opportunity to negotiate with the Internal Revenue Service to release the tax levy before the bank sends the funds. 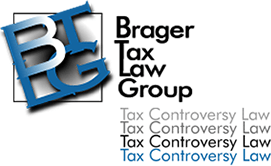 Whether you have been cooperating with the IRS by responding to their inquiries. Don't expect to get rapid notification from the IRS that they have sent a tax levy. The internal operating procedures of the IRS known as the Internal Revenue Manual specifically instruct its employees to delay sending a copy of the tax levy to the taxpayer. A tax levy sent to the bank is a "one shot" tax levy. It only attaches to the funds in your account at the minute tax levy is received. A tax levy on wages, commissions, or other similar payments is a continuing levy. That means that unless the IRS agrees to release the levy, your employer will continue to send the bulk of your paycheck to the IRS until your entire tax liability has been satisfied.